So Noah did everything exactly as God had commanded him. Back in September, when we last visited the blog Rhetorical Jesus by Jack Wellman, I explained more fully how this particular devotional site is designed as an outreach for (and to) people on Facebook and Pinterest, and even included the matching graphic that went with that devotional. Today you’ll have to click the header below for the graphic. You might even want to use some of these on your own social media. Noah had never seen a flood. He had never seen rain, yet there he and his family were…building an ark in the middle of a semi-arid desert region. Noah believed God and not his eyes. He trusted God enough to do what made absolutely no sense to others and did everything God asked him to do (Gen 6:22), and by his obedience, he obtained a righteousness that comes only by faith or trust. Put yourself in Noah’s place. He had no idea what rain was, not to mention floods, and where he lived, building a great boat made no sense. He built a massive boat, the ark, when no such thing had ever been constructed. Noah saw things that were not as though they would be because he saw with the eyes of faith. Can I trust God as much as Noah did? Chapter 11 of Hebrews has been called the Hall of Faith because in it, there is a veritable who’s who of men and women who trusted God in what was to come before it ever came to be. That’s why the definition of faith is having an assurance of things that are hoped for and the strongest of convictions of what is not even seen (Heb 11:1). Experience tells us that we too can trust God more than what we see with our eyes. God holds the future in His sovereign hands, and there is more confidence in what is not even seen today than what we see with our eyes. We can’t please God without having faith (Heb 11:6), and our faith is only as strong as the Object of Faith. The genuineness of our faith is being tested today so that it will come forth as being more precious than gold (1Pet 1:7) because even though none of us have even seen Jesus, we believe in Him (1 Pet 1:8), and, thus, a living hope is born in us. 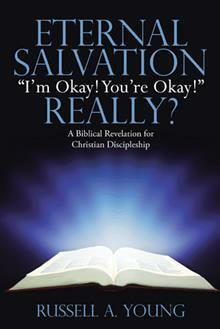 The fact that salvation is fully a work of God should make us trust Him even more. If it were up to us, we would have every right to be anxious, but God tells His own children that He isn’t ever going to leave us or forsake us (Heb 13:5). Shouldn’t that be good enough since we know that God cannot lie (Heb 6:18)? Great Creator God in heaven, please help me to believe in You and trust You even when my eyes tell me otherwise. I know that You hold the future in Your hands and control everything that happens in my life, so please forgive me in my times of doubt and help me to learn to trust You more and more with each passing day. In this great desire of mine I pray, in the strong name of Jesus Christ. AMEN. From the same author: What is God Calling You to Do Today? Each year we revisit the devotional page at the Presbyterian Church in Canada’s website. There are many great insights here from a variety of writers. The author of this piece is Don Lipsett. Click the title below to read at source. Imagine the scene that day: Jesus, the Man who did miracles and spoke powerfully — unlike any other — was making His way down the street, surrounded by His disciples and a noisy, jostling crowd. Everyone was trying to get close to Him, to be seen with Him, to hear His words, or ask a question. In the dust and commotion, the woman just hoped to touch the outer hem of His robe. She was seemingly so insignificant in that whole chaotic scene, unnoticed — except by Jesus. Do you remember about the day when the blind beggar, Bartimaeus, met Jesus? Here also we find weakness, faith, and hope, face to face with the Saviour. These incidents touch us, I believe, in their revealing how Jesus responds to faith, and to those who humbly seek. No one is insignificant to Him. Perhaps for many of us, our contributions to and work for God’s kingdom may seem to be insignificant in the big scheme of things, or in the monotony of daily life. However, Jesus’ call to us is to be faithful. Even if our circumstances may be limiting, we can pray, and maybe, there are yet little ways that we can share God’s love and the gospel with family, friends, neighbours, strangers, or even enemies. In little things and details, people can see, and wonder, and be moved by the Holy Spirit. Prayer: God of grace and mercy, fill our weakness with Your strength, and give us faithful hearts that we may “not grow weary while doing good” (Galatians 6:9a NKJV). We ask this in Jesus’ precious name. Amen. He alone is Wonderful, Counsellor, Mighty God, Everlasting Father, Prince of Peace. and the better-or-worse, could-be-good-could-be-bad possibilities of the future. The month of January is named after a character in mythology called Janus, who had two faces. One on the front and one on the back. One forever looking forward, and one forever looking behind. And sometimes it seems that we can best move forward once we have, just for a moment, looked back. To see where we’ve come from and how far we’ve travelled. To know that we can grow, because we see how we’ve grown. To know that we can learn, because we see what we’ve learned. To know that we can become stronger, because we see that we’re stronger than we used to be. To know that we can trust God, because we see that he’s proved himself trustworthy. I feel I’m at the end of myself. You will see that I’m parched. I trust that you’ll answer me quickly. because I need your protection. The LORD gives strength to his people; the LORD blesses his people with peace (NIV). Nine times the psalmist repeats the phrase the voice of the LORD. In this psalm, the voice of the LORD is a very active force. The voice of the LORD thunders, breaks, strikes, shakes, twists and strips. The voice of the LORD is powerful; the voice of the LORD is majestic. The voice of the LORD spoke the world into existence, set the planets in their orbits, and scattered the starry hosts across the heavens. A thunderstorm sweeping down from Lebanon is as nothing to Him. But the LORD of the storm is also the LORD of peace. One day on the Sea of Galilee Jesus our Lord brought peace to the storm. Response: You are the LORD of the storm and the LORD of peace. When storms arise in my life help me to trust you completely. Lord Jesus, grant me peace in the midst of the storm. Amen. Your Turn: Jesus says to us, “Why are you so afraid? Do you still have no faith?” (Mark 4:40). Are you hearing him? Where Does the Object of Your Faith Reside? Elsie Montgomery is one of the most faithful devotional writers I encounter when preparing these articles to share with you. She’s now in her 12th year of writing and this is her 15th time being highlighted here at C201. Click the title below and read it at her blog, Practical Faith. A Christian perspective can be easily misinterpreted. Because I know that God is sovereign and able to govern the world and all that it is in it, I can be calm regarding the stuff that happens because I know God is in charge. This calm reliance on His love and power can be misinterpreted; people might thing that I don’t care about the mayhem and tragedy in this world. Sometimes I misinterpret my burdens though. I can feel deep concern for the mess out there because God cares about the suffering going on in this world, but I can also be in a flap because I don’t believe that He does care. One burden comes from having His heart of compassion; the other is based on fear and panic. Even though Tozer’s conclusions are often a stretch from the Scriptures he uses, this passage did remind me that the Lord God is on the throne. He is the High Priest of heaven who is sovereign, even when I cannot understand what He is doing. Why then the burdens? The weight in my heart for a world gone crazy can have two sources: fear or faith. I can panic over floods, hurricanes, typhoons, crime, fires and so on because they are tragic and God’s creation is suffering. I can feel the heart of a caring God who knows and cares for even the sparrows that fall (Luke 12). Yet if my burden is the burden of the Holy Spirit for pain and loss, it is not excessive because Jesus said, “My burden is light” (Matthew 11). It is also evidence that the Spirit who lives in me is conveying to me His heart for the needs of people. However, those burdens can be fearful and overwhelming, without trust in God’s sovereign power and even rooted in fear and pride. I start thinking that I must do something even if it is only identifying with the pain of others. Fear is anxious about the outcome and acts without waiting on the Lord for direction. With fear, I try to run the world even though I know He is the only one who can. The burdens of faith are rooted in humility. They are the result of a heart willing to bear whatever the Lord puts on it, then praying to give it back to Him. It is obeying what I know — that God can deal with it. He might give me an assignment but humility assumes nothing, not even that my prayers will ‘fix’ these issues. They belong to God, not my will. Faith in Him knows Jesus will ‘win’ even when everything looks very black. Fear runs in circles; faith attaches itself to God. Jesus, when the burdens of the world start getting me down, I realize I must pray lest my faith slip into fear. Forgive me for letting that happen and quickly let me know so I will be praising You instead of banging my head against a wall. NIV.Matthew.14.22 Immediately Jesus made the disciples get into the boat and go on ahead of him to the other side, while he dismissed the crowd. 23 After he had dismissed them, he went up on a mountainside by himself to pray. Later that night, he was there alone, 24 and the boat was already a considerable distance from land, buffeted by the waves because the wind was against it. 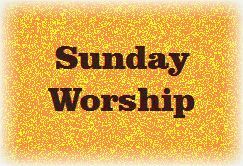 On Sundays I stand before a church with a three-point outline in my hand, thirty minutes on the clock, and a prayer on my lips. I do my best to say something that will convince a stranger that an unseen God still hears. And I sometimes wonder why so many hearts have to hurt. Do you ever get doubtstorms? Some of you don’t, I know. I’ve talked to you. I think you are gifted. You are gifted with faith. You can see the rainbow before the clouds part. If you have this gift, then I won’t say anything you need to hear. – about who you are to ask such questions anyway. Tough questions. Throw-in-the-towel questions. Questions the disciples must have asked in the storm. Jesus to come walking on the water. “‘It’s a ghost,’ they said and cried out in fear” (Matthew 14:26). And since Jesus came in a way they didn’t expect, they almost missed seeing the answer to their prayers. And unless we look and listen closely, we risk making the same mistake. God’s lights in our dark nights are as numerous as the stars, if only we’ll look for them. When the disciples saw Jesus in the middle of their stormy night, they called him a ghost. A phantom. A hallucination. To them, the glow was anything but God. When we see gentle lights on the horizon, we often have the same reaction. We dismiss occasional kindness as apparitions, accidents, or anomalies. Anything but God. And because we look for the bonfire, we miss the candle. Because we listen for the shout, we miss the whisper. Ephesians 3:14 For this reason I kneel before the Father, 15 from whom every family[a] in heaven and on earth derives its name. 16 I pray that out of his glorious riches he may strengthen you with power through his Spirit in your inner being, 17 so that Christ may dwell in your hearts through faith. And I pray that you, being rooted and established in love, 18 may have power, together with all the Lord’s holy people, to grasp how wide and long and high and deep is the love of Christ, 19 and to know this love that surpasses knowledge—that you may be filled to the measure of all the fullness of God. This is our very first time with Ted Gosard who blogs at Jesus Community. Like our sister blog, Thinking Out Loud, Ted has an extensive blogroll of interesting websites and writers which I encourage you to be aware of. Given the wide mix of authors we introduce here, we thought this article provided balance on what can be a sensitive, personal subject for some. Click the title below to read this at source. There is something plaguing Christianity and actually causing the shipwreck of the faith for many. * But before I get there, I want to acknowledge the importance of growing deeper in our faith, and the need for a deeper life in God. That possibility is right in scripture (Ephesians 3:14-21, one example). I have frankly thought, reflecting on myself, and what I’ve seen, that our faith can be 20 miles wide, and an inch deep. By faith we need to grow outward, inward, and through and through. And be taken into places that require God’s work of excavating what is in the way, and will only hinder what God wants to do, as well as to grow in our own walk and experience in the faith. Yes, there is indeed a depth into which God wants us to step into by faith, and begin to sink into. This kind of life has been pursued in Christianity for centuries without leaving the gospel behind, or altering it in the process, actually a maturing in the faith. But there is either a perversion, or something that is off track and at least unhelpful that is all too common in too many Christian circles. And before you begin to think I’m referring to some specific group or movement, one must remember that there are differences and that not all teaching that might be put in this category is without some balance from scripture, so that there may be nothing at all essentially wrong with it. But to the problem, I am referring to teaching which falls into the category of what in theological circles is called overrealized eschatology. That is a big term which means what God has promised to be fulfilled in the life to come is more or less expected now. There have been some grave errors which can be seen in the New Testament, one example: when Paul refers to those who said that the resurrection had already passed, possibly meaning that these Christians had thought they had arrived, overcoming death already. Some examples today are those who insist on a second or third work of grace which distinguishes them from other Christians. For example those who refer to themselves as “Spirit-filled” or “Spirit-filled” churches. While an emphasis on the Spirit and the Spirit’s working might help Christians to be more open to God’s work in that way, all too often the result is anything but helpful, and far from scriptural. A telling indication that something is wrong is when one sees their faith as better than others, or their church as better than other churches. Where the Spirit of the Lord is present there is not only freedom, but humility. Humility to understand our own ongoing need, with the realization that none of us are any better than the other. Beware of a Christianity that emphasizes experience, oftentimes unusual experiences, and sees itself as a cut above the rest. “By their fruit you will know them.” If there’s not the humility of Christ to understand that we are in process, and always in great need individually and together, then we need to reconsider the teaching we’re receiving. And the Spirit binds us together in Christ and promotes our unity in Christ. We need to beware like the plague any teaching or church not in line with that. At the same time, by grace we can begin to experience and grow into the fullness of God in Christ together by the Spirit in the word and the church. That is the real thing. The other is more or less phony, and needs to be rejected. But God’s grace in Jesus is present to whatever extent possible in any group. We simply have to be aware, and wary of what takes us beyond the clear teaching in scripture and the gospel. Be forewarned and avoid and help others avoid this plague. That instead we might grow up together into the fullness of Christ (Ephesians 4:13). *From what I’ve seen, which admittedly is limited, but I am convinced myself is a pattern which at least infects our faith with something foreign to Christ and the gospel, and even results in people becoming disillusioned, and leaving the faith.